The Small Dish with Big Power for Caravans, Motorhomes and Camping. 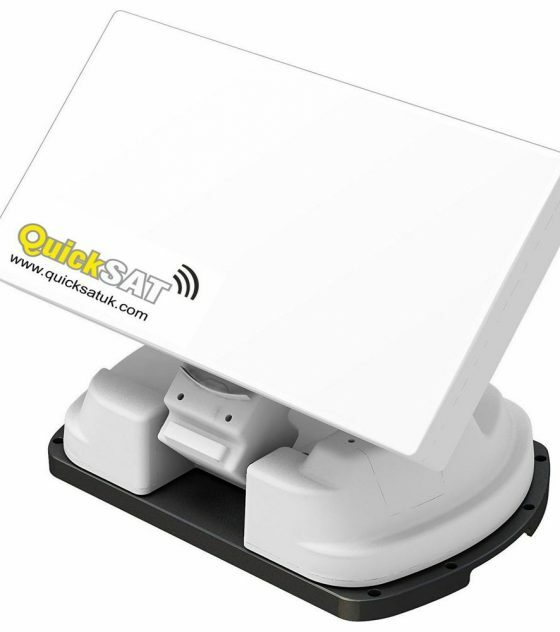 The QuickSAT QSA65F is a compact fully automatic satellite antenna, just press a button and the flat panel will rise into position and automatically lock onto the satellite very quickly thanks to the built in GPS receiver. The very small footprint makes it deal for mounting on the roof of motorhomes or caravans where space is limited. Available with one or two LNB outputs. Buttons for 10 pre-programmed satellites plus 2 user defined satellites. Fully motorised dish automatically moves in the correct position at the press of a button. Equivalent to a 65cm dish, allows reception of UK TV over throughout the UK and Ireland and northern France. Can be used with any TV with an integrated satellite receiver, your own receiver (including SKY) or the optional 12V “QuickSAT free to air receiver”. 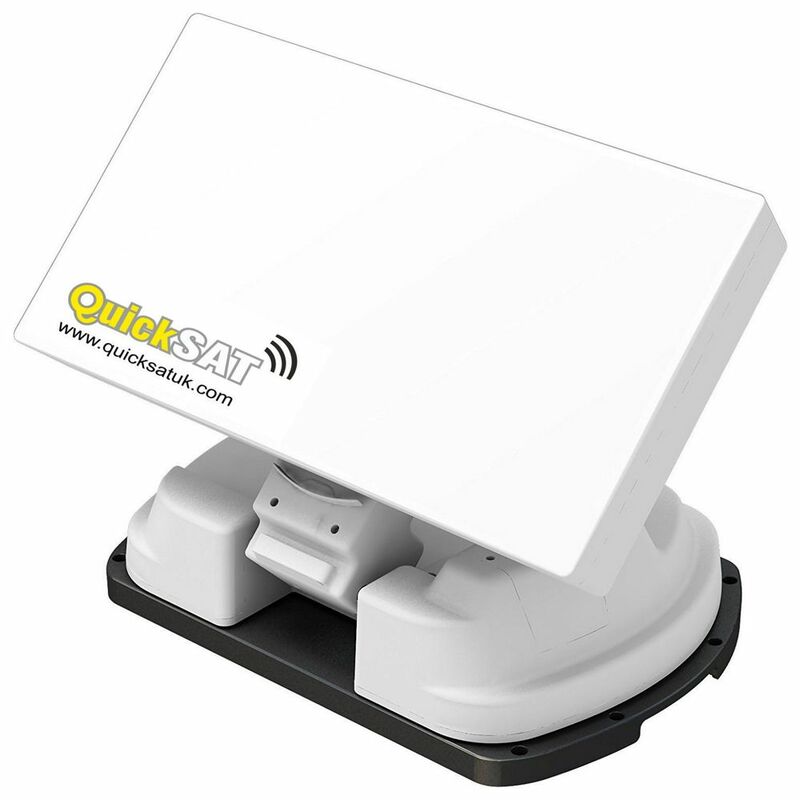 QuickSAT is a range of touring satellite TV systems for motorhomes and caravans that utilises a unique patented fast and effective dish alignment system. 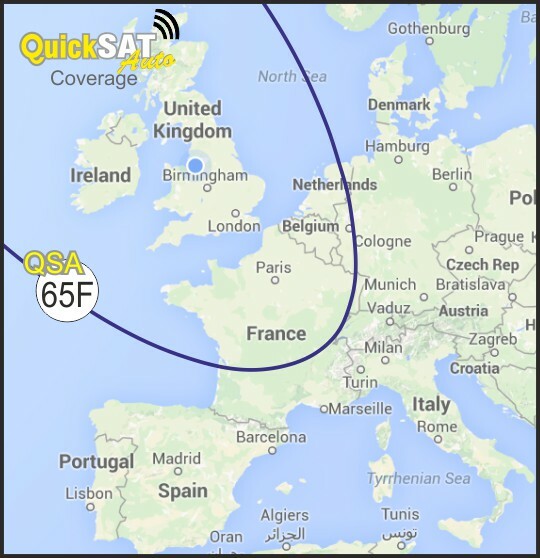 QuickSAT is developed and manufactured in the UK by Falcon Technical Ltd.
© Copyright 2012-2016 Falcon Technical Limited. All rights reserved.